When yarn has color and texture it does all the work for you! 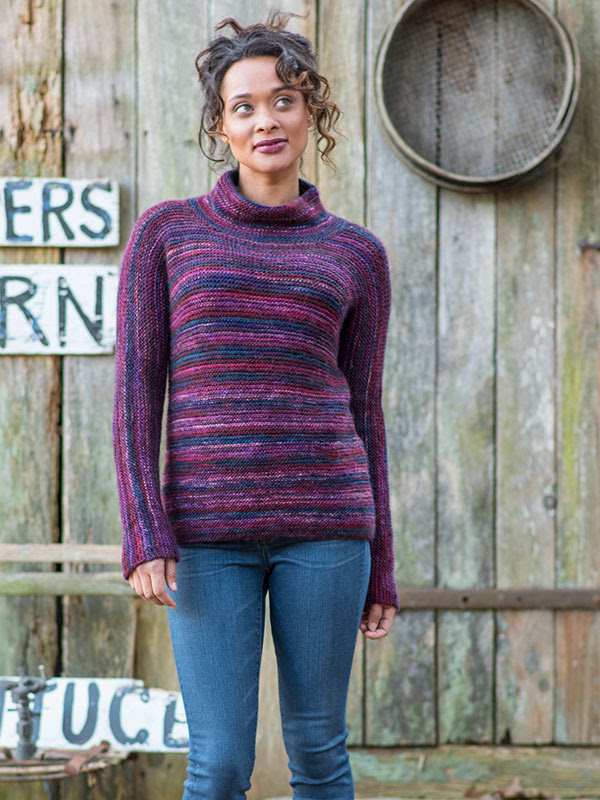 This sweater is great for beginners—the body is knit flat in one piece and seamed, allowing the colorful yarn to make big, bold stripes. 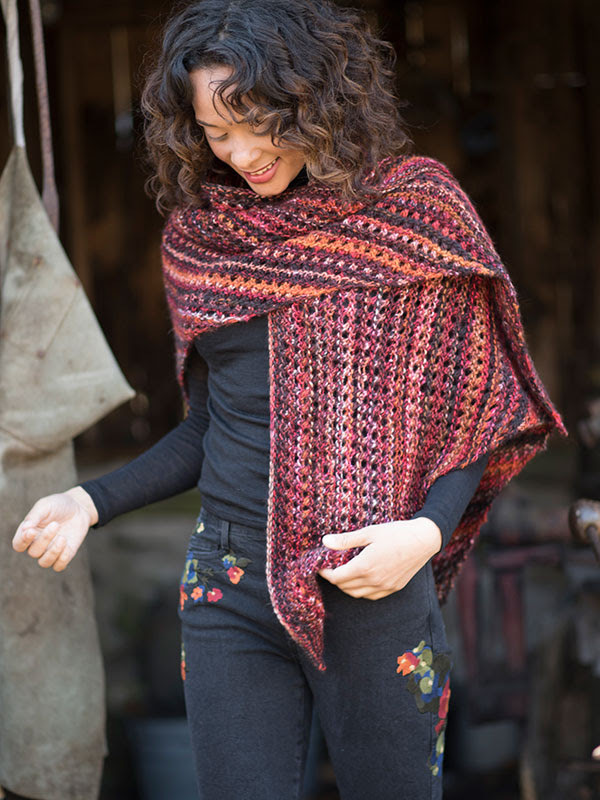 A variation on rib stitch adds a bit of texture to the fabric of this easy scarf. This tee takes advantage of the gorgeous color changes in a beautiful way. Worked side-to side with minimal finishing, this oversized tee can be knit quickly and easily by knitters of any skill level. 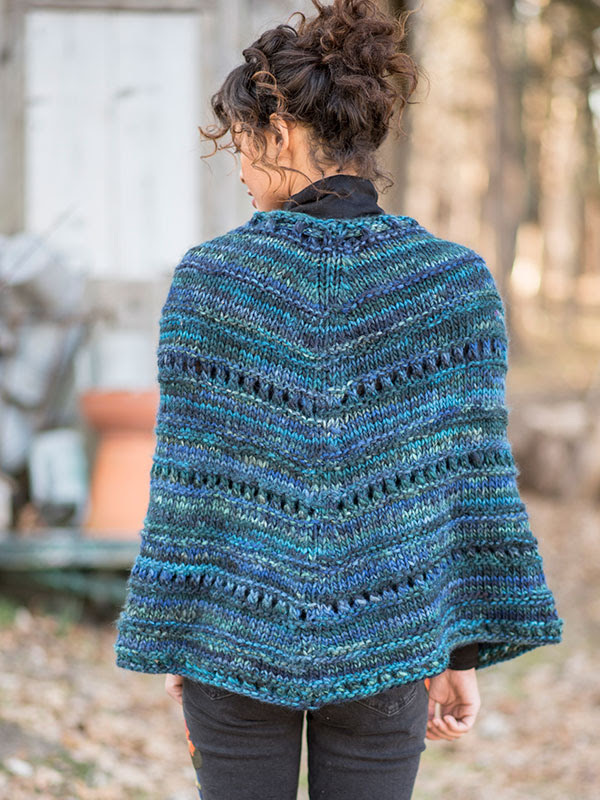 This triangular shawl is knit from the bottom up with a simple eyelet pattern. 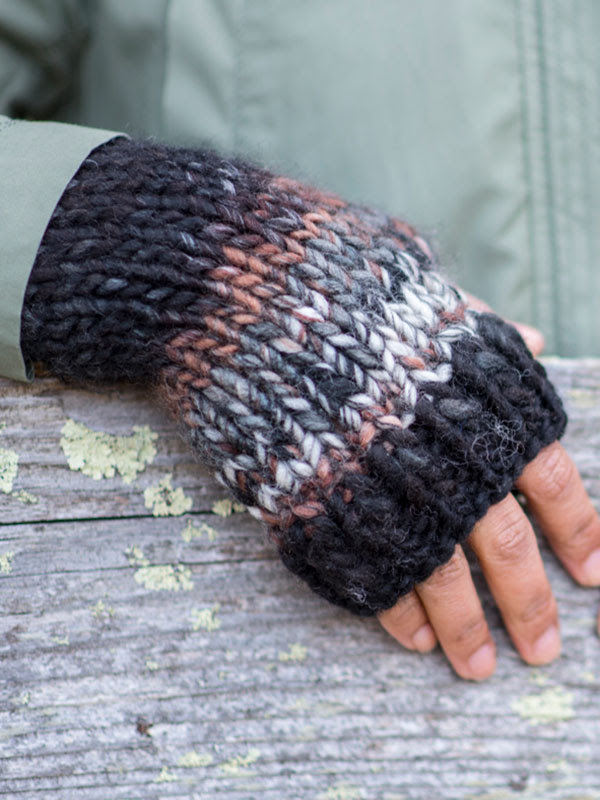 One ball is all that’s needed to knit these fingerless gloves. Ribbing keeps the fabric snug against your wrists to help keep your hands warm. Millefiori got upsized! Millefiori Big blends equal parts wool and acrylic in colorful variegated shades to create projects that are fast and fun to knit or crochet. A free-flowing vest shows off the gorgeous colors. Knit from one front edge to the other, this piece is easy to knit and great for layering. 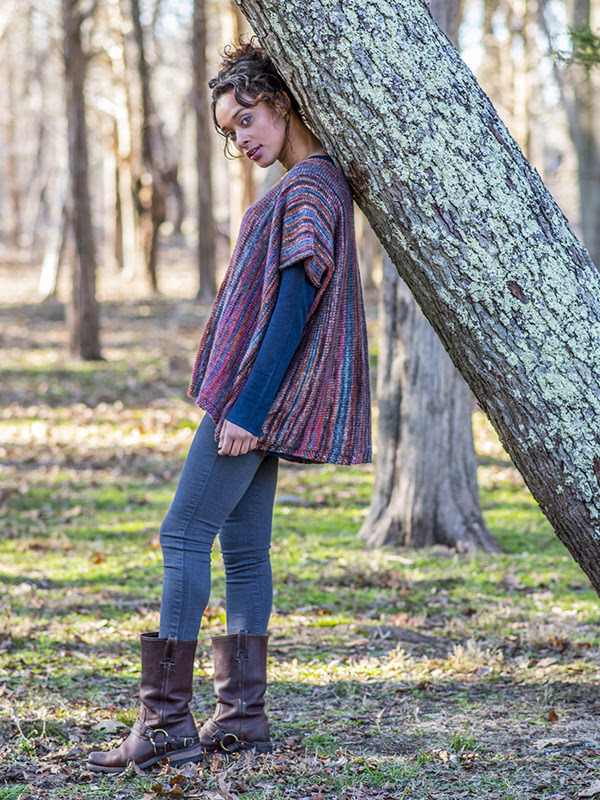 This fun poncho will be your go-to piece for fall and winter! Knit in the round from the bottom up with simple eyelet accents. 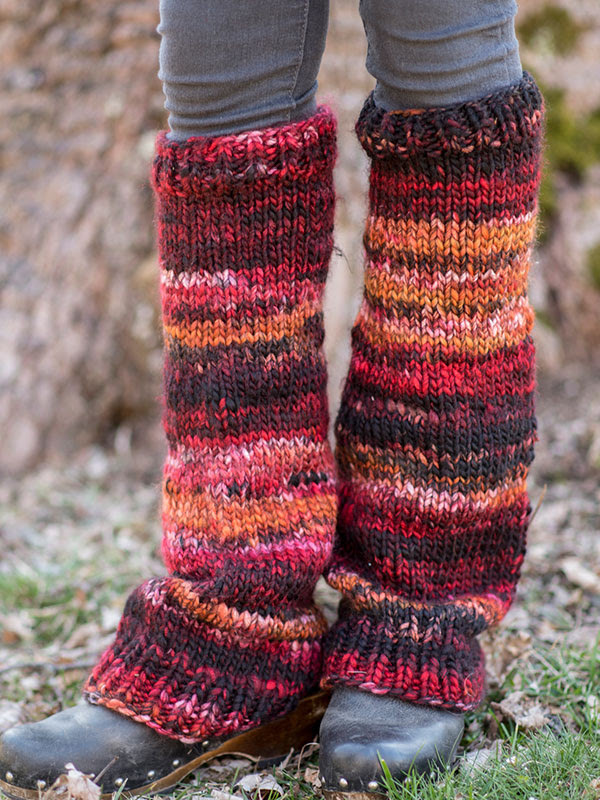 Fun, easy legwarmers are knit in the round quickly. Available in three sizes, they would make fun, fast gifts. 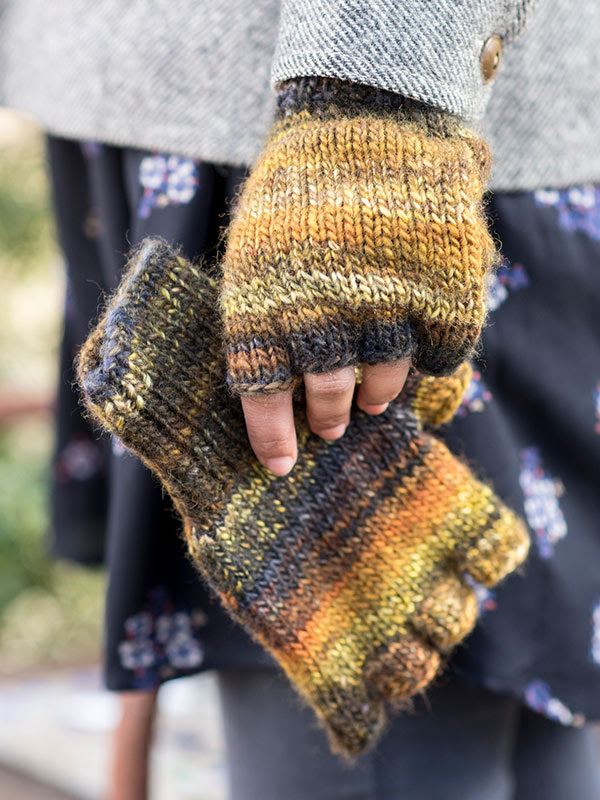 These fingerless mitts are great projects for beginner knitters! Knit flat and then seamed, they require just one ball. 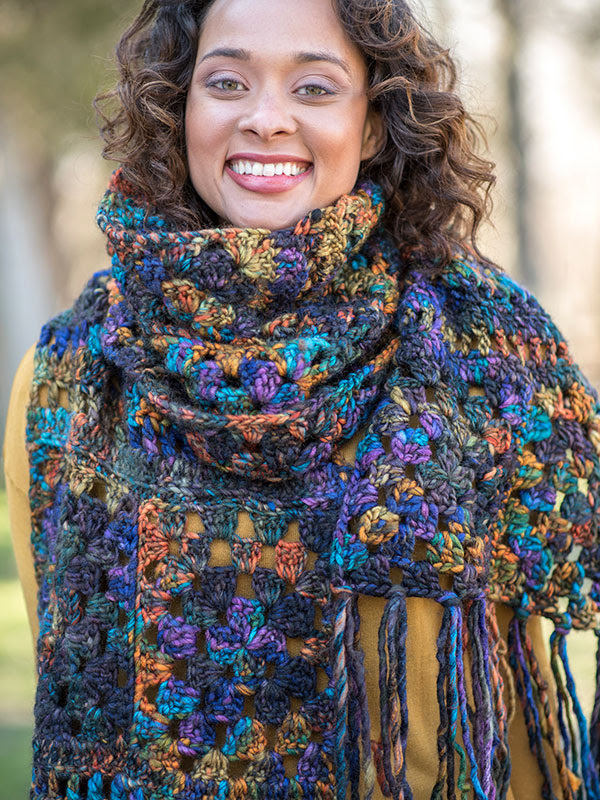 For our crocheting friends – granny squares are worked on a large hook before being joined together to make this show-stopper of a scarf.